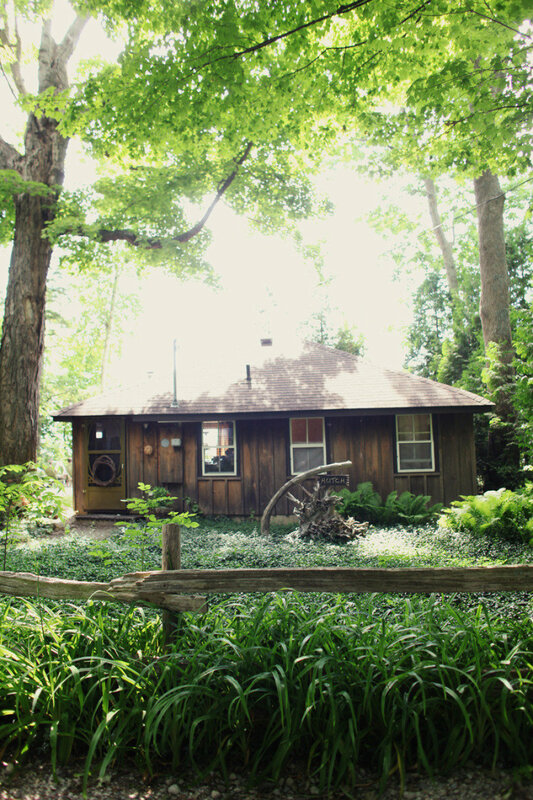 Deer Park Lodge offers fully equipped 1, 2 and 3 bedroom cottages. 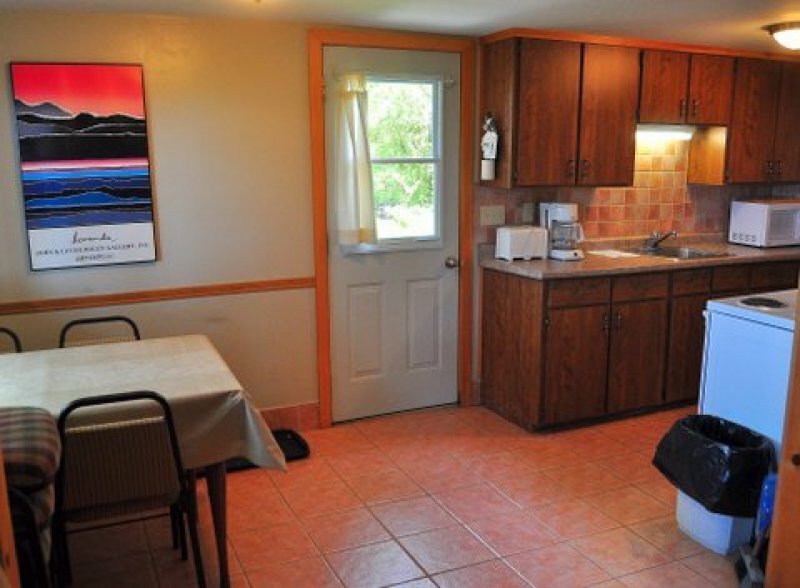 All cottages have a full kitchen, cable TV, wifi, BBQ, fireplace and optional a/c. Pricing is based on double occupancy per bedroom. The cottages rent by the week Saturday to Saturday in July and August. The last week of August ends on the Friday of the Labour Day weekend and is sold at the prorated weekly rate. Weekend, long weekend, and midweek stays are available September through June. For shorter stays please visit our sister property across the road - The Ashwood Inn. $100/weekend, $200/long weekend, $500/week. (50% refundable if cancelled in writing 30 days in advance). If you are bringing your pup to one of our pet-friendly cabins a pet fee applies: $50/pet/weekend , $100/pet/week. Our fully equipped one bedroom suites have a queen size bed and ensuite bathroom with walk in shower. Recently renovated with new fridge and stove, microwave, coffee maker and BBQ. Each living room has a gas fireplace and futon for guests. Sliding glass doors lead to a small lake-facing deck and picnic table. Located on the upper floor, the newly renovated penthouse has stainless steel appliances, superior furnishings, gas fireplace with French doors to a deck overlooking the lake. The abundance of large windows gives a breath-taking view in all directions. Both bedrooms have Queen beds. 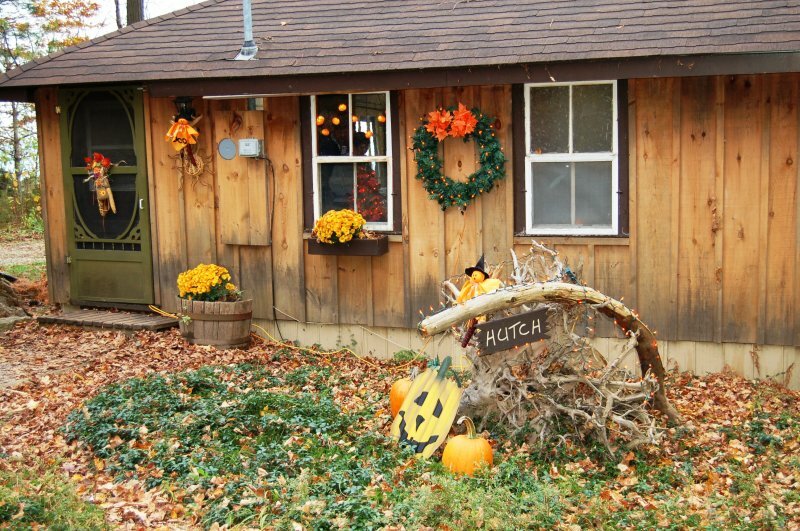 The Bayfield House is a cedar-lined two bedroom cottage with a queen size bed and bunk beds. 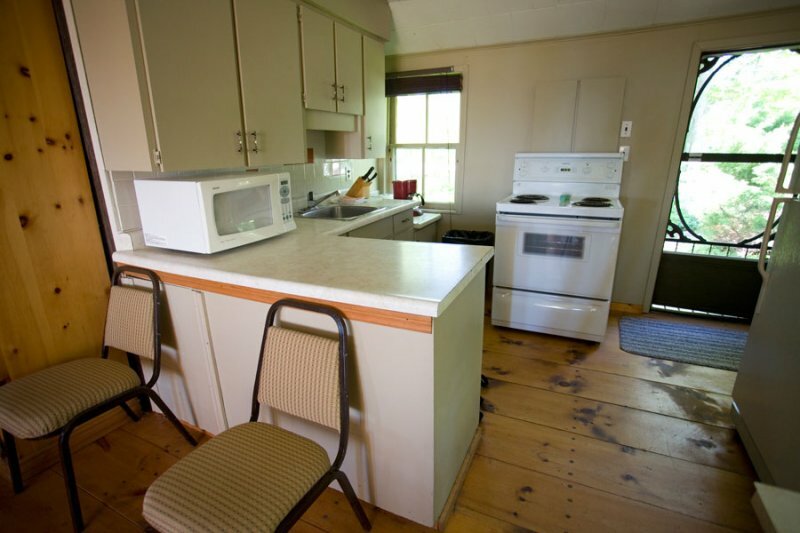 The kitchen is fully equipped with fridge and stove, microwave, coffee maker and BBQ. The living room/dining room is open concept with a gas fireplace . This pet friendly cottage has a large sunset deck as well as a fire pit. Our fully equipped two bedroom lakefront cottage has one queen and one double size bed, a four-piece bathroom and screened in porch. Also provided are full size appliances, toaster, microwave, coffee maker and BBQ. The living room has a gas fireplace and futon for guests. This cottage is pet friendly but does not have a fire pit. Our fully equipped two bedroom lakefront cottage has queen size beds, a four-piece bathroom, full size appliances, microwave, coffee maker and BBQ. The living room has a gas fireplace and futon for guests. Birchcliffe has a sunset deck overlooking the lake as well as a fire pit. This cottage is pet friendly. The Cottonwood is a fully equipped two bedroom woodview cottage with queen size beds and four-piece bathroom. It also has full size appliances, microwave, coffee maker and BBQ. The living room has a gas fireplace and futon for guests. All woodview cottages havescreened in porches. This pet friendly cottage does not have a fire pit. The Woodfern is a fully equipped two bedroom woodview cottage with queen size beds and four-piece bathroom. It also offers full size appliances, microwave, coffee maker and BBQ. The living room has a gas fireplace and futon for guests. All woodview cottages have screened in porches. This pet friendly cottage also has a fire pit. The Tamarack is a fully equipped two bedroom woodview cottage with queen size beds and four-piece bathroom. It also offers full size appliances, microwave, coffee maker and BBQ. The living room has a gas fireplace and futon for guests. All woodview cottages havescreened in porches. This pet friendly cottage does not have a fire pit. Our three bedroom Hutch has a beautiful view overlooking Lake Huron and a great outdoor set up with fire pit. It sleeps six people in one queen bed and two double beds with a futon in the living room for guests. There are full size appliances, wood-burning fireplace and three piece bathroom. The Hickory cottage faces Lake Huron and has queen size beds in each of the bedrooms and a futon in the living room. 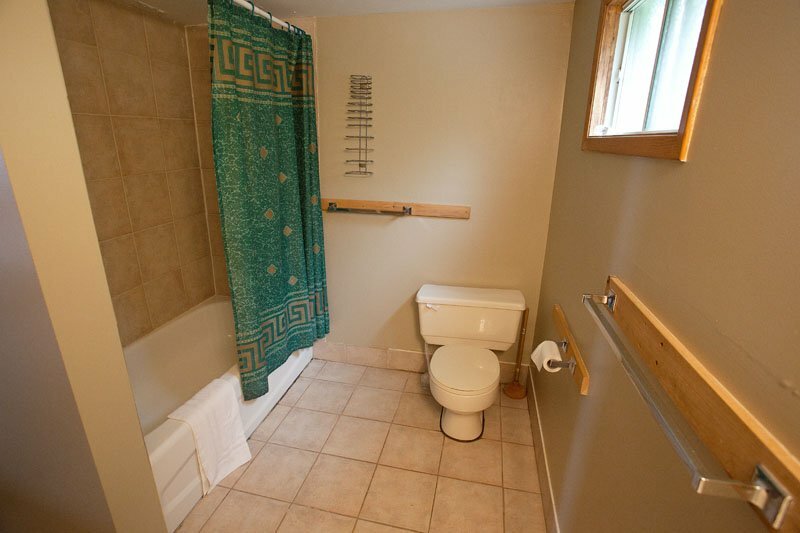 Also included is a bathroom with walk-in shower and gas fireplace. This cottage is pet friendly but does not have a fire pit. 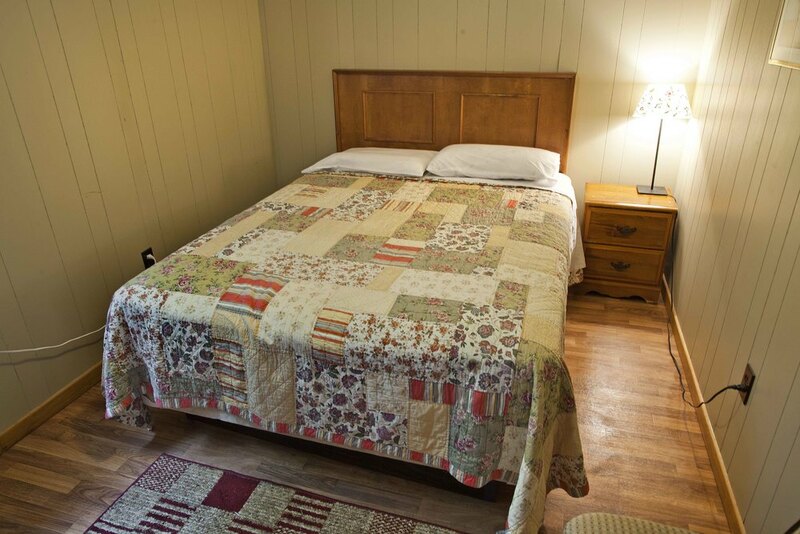 The Sycamore cottage has a queen size bed in each of the bedrooms with a futon in the living room for guests. 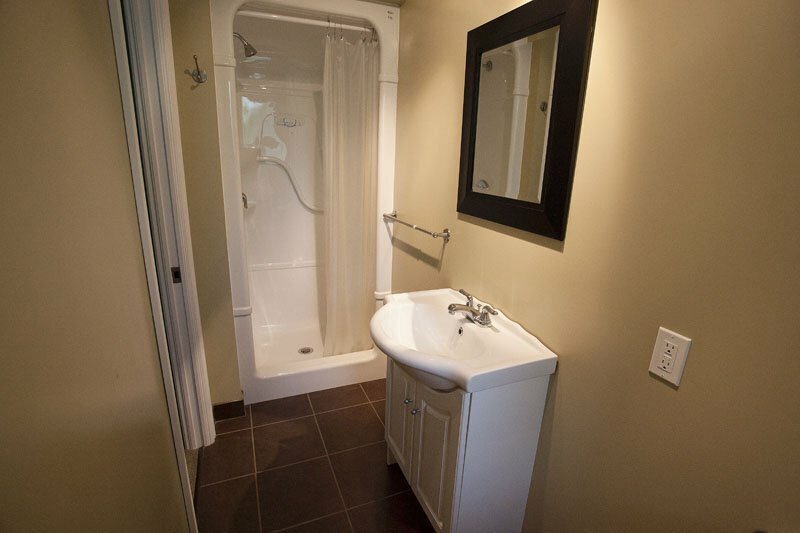 Sycamore cottage has full size appliances, bathroom with walk-in shower, gas fireplace and sunset deck. This cottage is pet friendly and has a small fire pit. Our fully equipped three bedroom lakefront cottage has two queen beds and a set of single bunkbeds, as well as a four-piece bathroom. Full size appliances, microwave, coffee maker and BBQ. The living room has a gas fireplace and futon for guests. This pet friendly cottage does not have a fire pit. Our three bedroom woodview cottage sleeps six people in three queen beds and can hold a maximum of two extra guests on two futons. Kilbryde has a four piece bathroom with a woodburning fireplace, dishwasher and large master bedroom and dining area. This pet friendly cottage also has a fire pit.